One widely rumored myth is that using the services of a Realtor would somehow inhibit you from getting a good deal on a home, or perhaps harbor your chances for successful negotiation. We're here to tell you that this is completely false. We've actually come across new home builder salespersons that enjoy the benefit a Realtor brings to a home buying experience. A dirt construction is a home built from the ground up. An inventory home is a home already built and ready to be moved into immediately. It is most important to remember that you are negotiating with the builder's profit margin. Profit margin does not include a buyer's real estate agent's commission. This commission is already factored into the base price of the home, and will not be negotiable. The builder's profit margin is not at risk when a home has not been constructed yet in such cases as "dirt" deals. Inventory purchases, however, are at a much more likelihood of being negotiable as new home builders do not like to have inventory sitting in the subdivision, plus they will have to begin paying interest and property taxes on property they hold in their inventory. Dormant inventory is bad for business. It gives a negative impression to visitors in the neighborhood, and is also very costly to maintain by the builders themselves while touring these homes with prospective buyers. This is why a builders negotiability is higher in inventory homes; they simply want to get rid of them as soon as possible. It's important to scout neighboring subdivisions and learn the incentives and promotions each is having and use this information to your advantage. If you are using the services of a real estate agent in your purchase, which you should (it is free after all), your real estate agent should be happy to do this for you. Don't expect for a hard negotiation to take place. Usually, the best weapon in negotiating new home sales is simply to walk out and return at a later time. This strategy will be sabotaged if you have not gotten financially approved prior to visiting new home builder. You want to give the impression to the sales representative that you are ready to purchase that day. Otherwise, you leave the salesperson open to speculate on whether or not "the deal" he is cutting you is really worth the time and effort. If the salesperson feels that your transaction will be very smooth, then should have no problem negotiating your sales price down a reasonable amount. In the end, a real estate agent's perspective on your transaction is invaluable in your real estate transaction. When you purchase a home you are probably making one of the most important investments of your life. It is important to make sure you make the most informed, intelligent decision possible in regards to the details of your next home. Many times, this can be clouded by an emotional attachment to a home, which believe it or not, can be created instantaneously. Have you ever walked into a home, and said the words, "Wow, I love it!" This could be referenced as an emotional attachment! You are now subconsciously wanting this home, and are usually (as long as your finances provide) willing to do whatever it takes to make your family have the same enjoyable experience as you did when walking into a lovely model home. In our experience, these emotional attachments cloud the mind, and usually makes you make emotional decisions rather than logical ones. In real estate, this is really a bad idea. 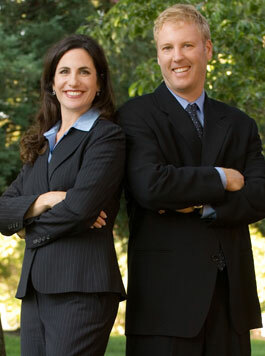 You will also need to have someone there to consult with you during vital stages of your transaction. Are you aware of pre-pour and pre-concealment inspections? These are two very important new home inspections to consider during the build out of your home. We can guide you to finding the perfect home just for you. By using a process that is very intentional and proactive, we are able to fine tune our searches to enable us to find the home most suited to your needs. Once you've found the home of your dreams, let someone that ISN'T emotionally attached do the negotiating! In our experience, we can get better results from a new home builder salesperson negotiation session than you, by yourself, and un-armed. The Boyenga Team, on the other hand, comes fully prepared with neighborhood selling trends and statistics, a un-emotional and un-attached attitude, and the ability to walk-away! Do yourself a favor and take use of this free service! Did You Just Say Free? Absolutely. The costs of the services that we provide are gladly paid for you by the builder of the home you purchase. They are "gladly" paid because we brought the builder a buyer for their home and helped keep the transaction smooth and stress-free; it's as simple as that. Without real estate agents, many builders cut a very important source of business to their communities. In fact, many builders embrace the services of Realtors. With such a large transaction you are thinking about doing, it's always wise to consult with a qualified professional to make sure that all your bases are covered.